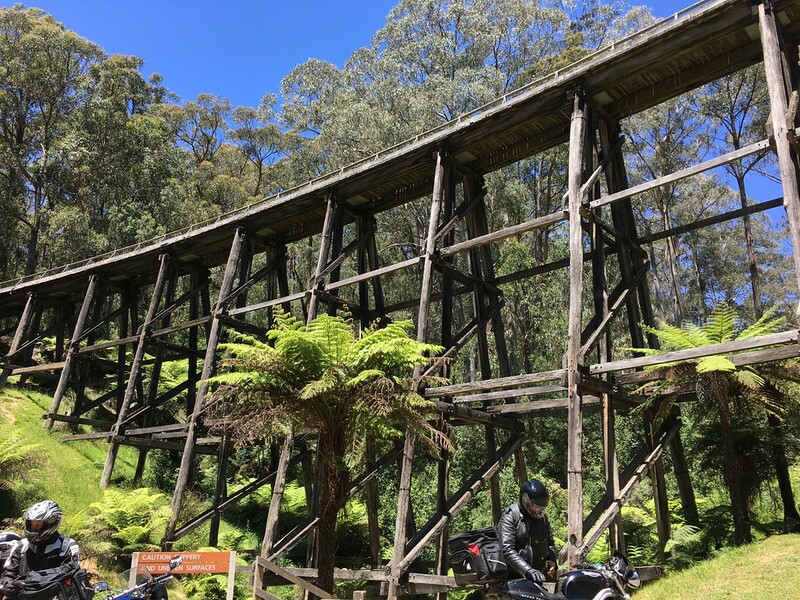 A few shots from an excellent overnighter to Rawson, with stops at Riddels Creek for morning tea, the Healesville bakery for lunch, the Noojee trestle bridge and Walhalla. 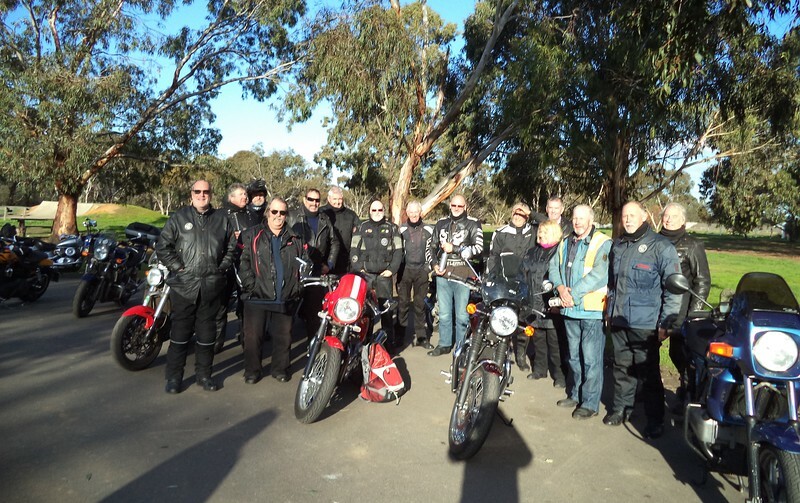 Ten starters in Geelong and two more met us at Healesville. 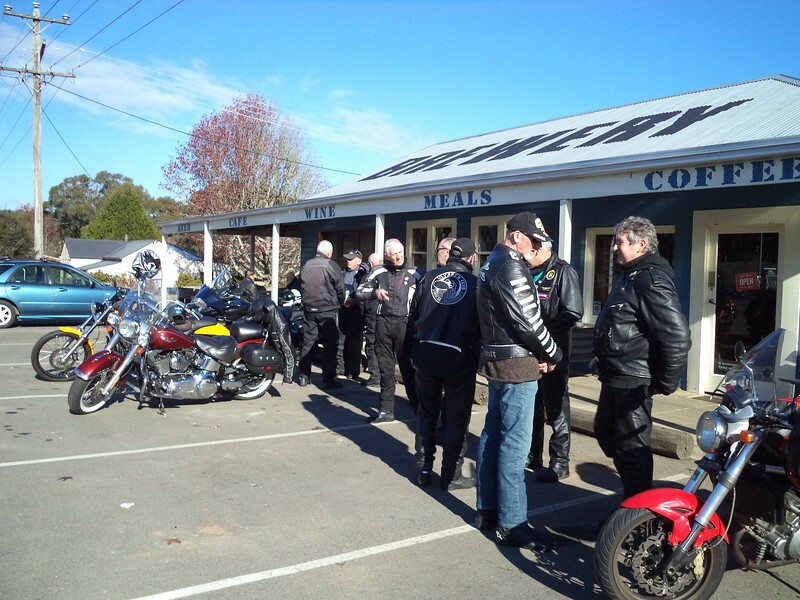 Beautiful weather on Wednesday and a bit wet early on Thursday – but still good riding. A big thanks to Gentle for route planning and leading, and to Graham for being TEC and organising the digs. A nice Mazda based Clubman at Healesvile Bakery. 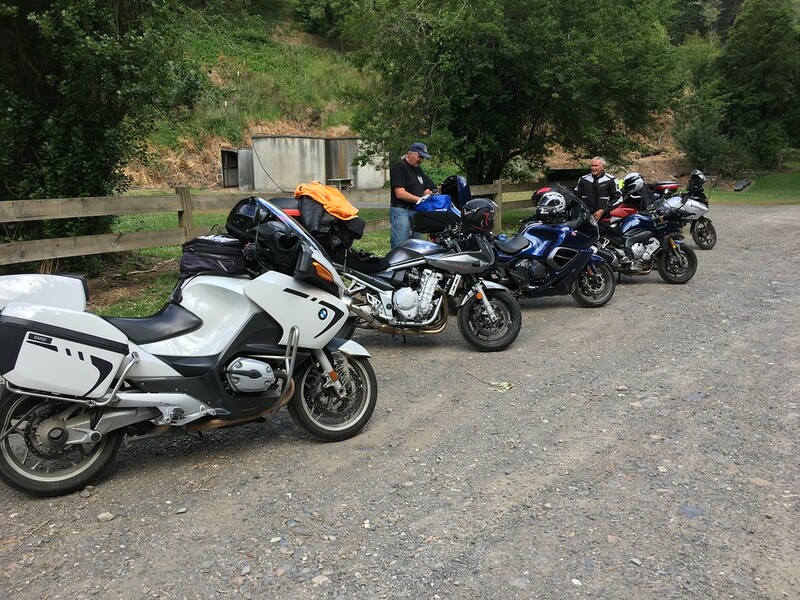 Last week’s planned mid-week ride through the Otways had to be postponed due to the severe weather and torrential rain that most of Victoria copped. Things were not looking a whole lot better in the weather forecast for this week. 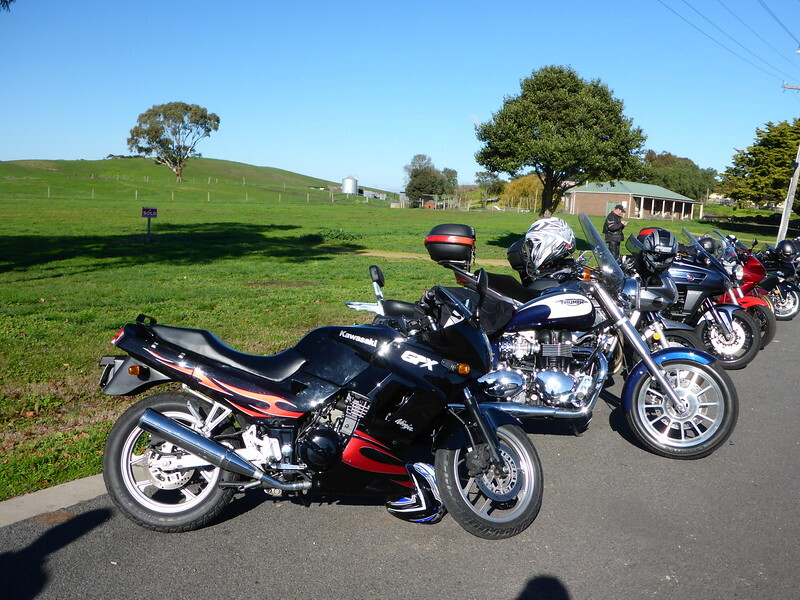 However, the weather gods smiled upon us and we enjoyed a brilliant Spring day for the ride. 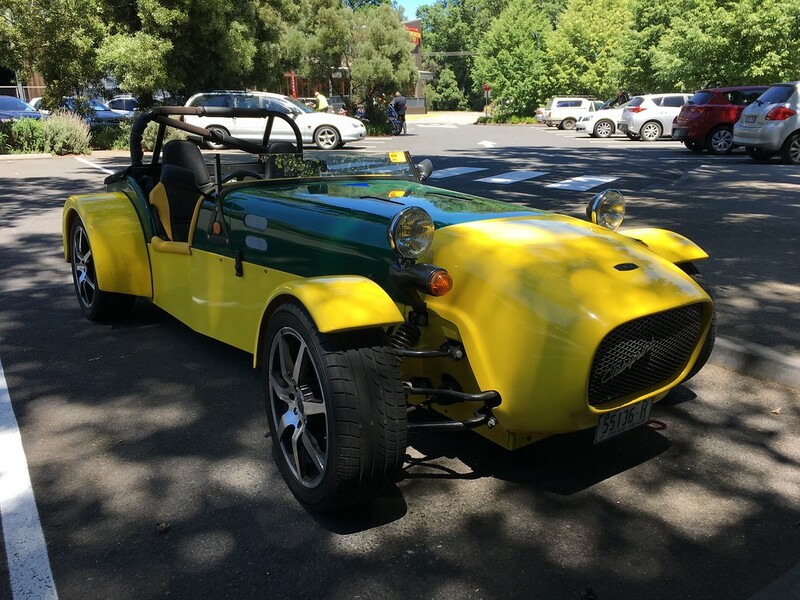 We left Waurn Ponds McDonalds and travelled to Gellibrand for morning tea via Deans Marsh. 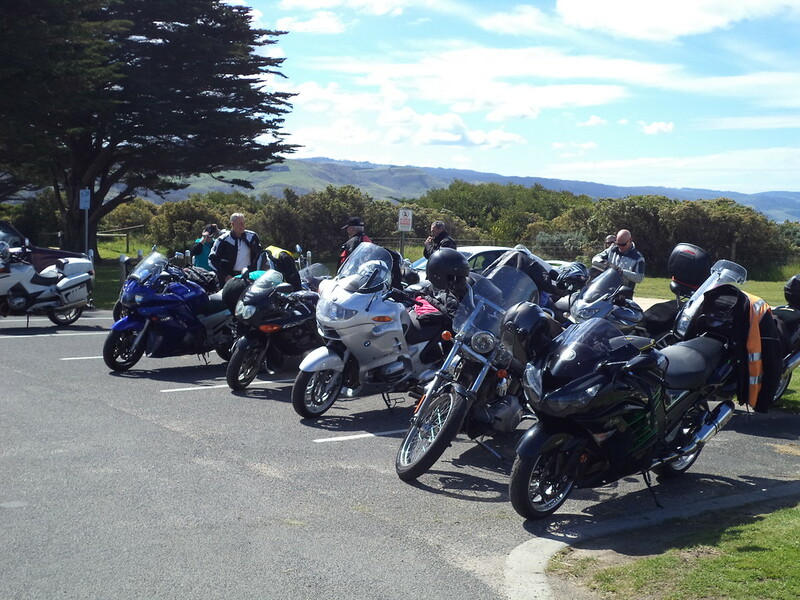 From here, we rode up to Lavers Hill then turned on to the Great Ocean Road and really enjoyed the twisty roads through the bush to Apollo Bay. 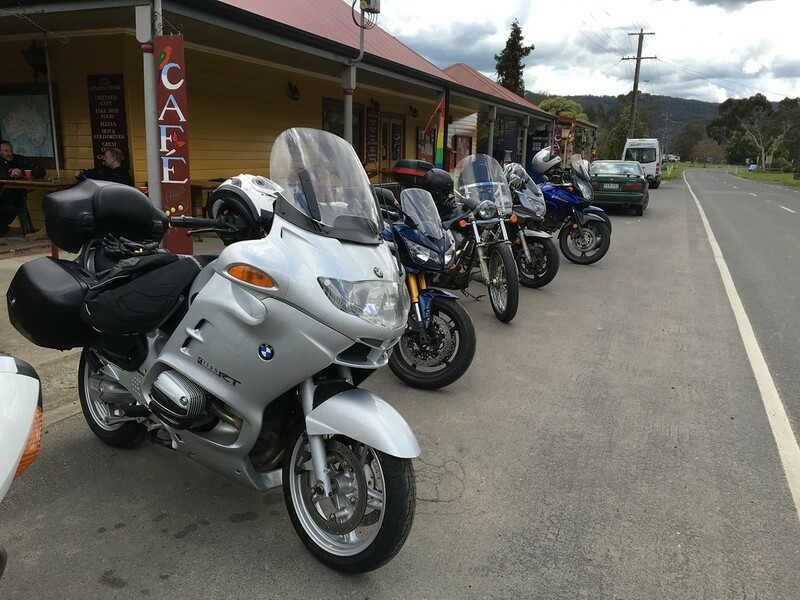 We ‘dined’ at the Apollo Bay bakery in beautiful sunshine, the fuelled up and headed for Geelong via Forrest. 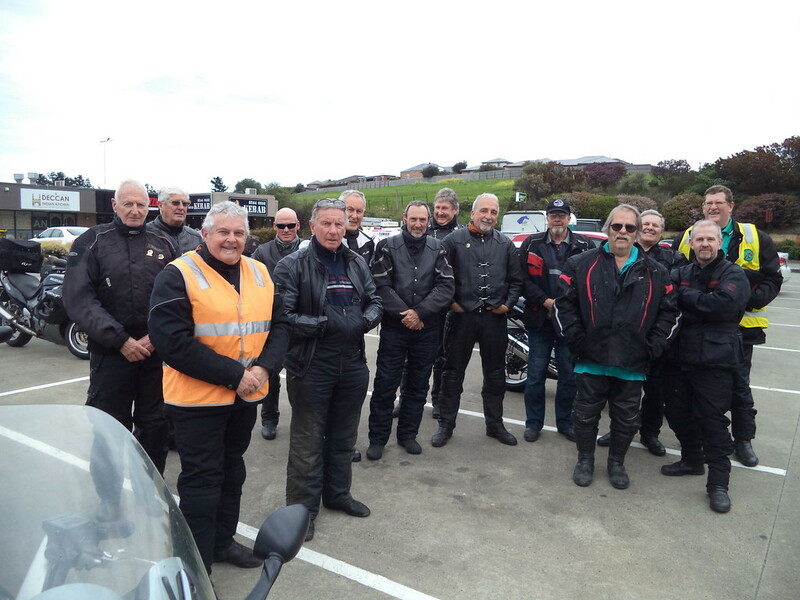 (The GOR is closed at Skene’s Creek due to land slides) All up, the roads were dry, the traffic was light and the company was great. Thanks to Don W for Tail-End-Charlie duties. Click on photos to see them full size, then use your browser back button. 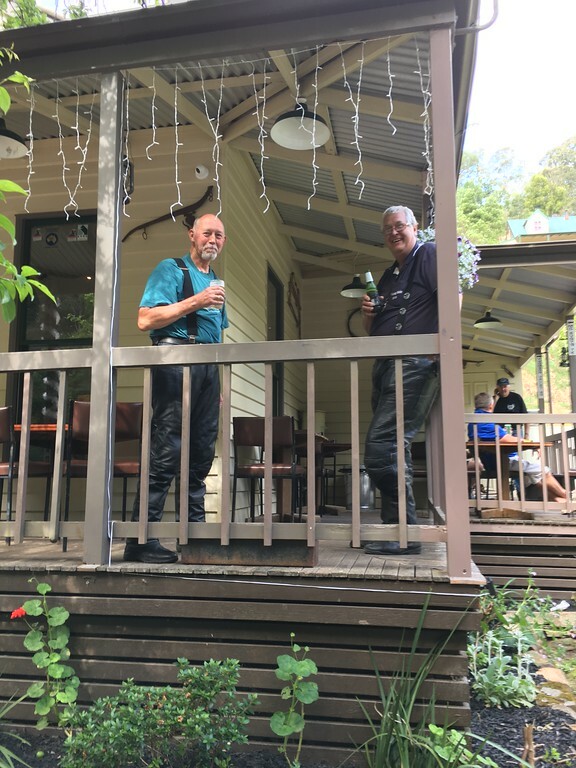 Peter T led a terrific ride for lunch at the Beeac Hotel via Forrest for morning tea. It was a perfect winter’s morning. Although chilly at first, there was not a breath of wind and the sun shone virtually all day. 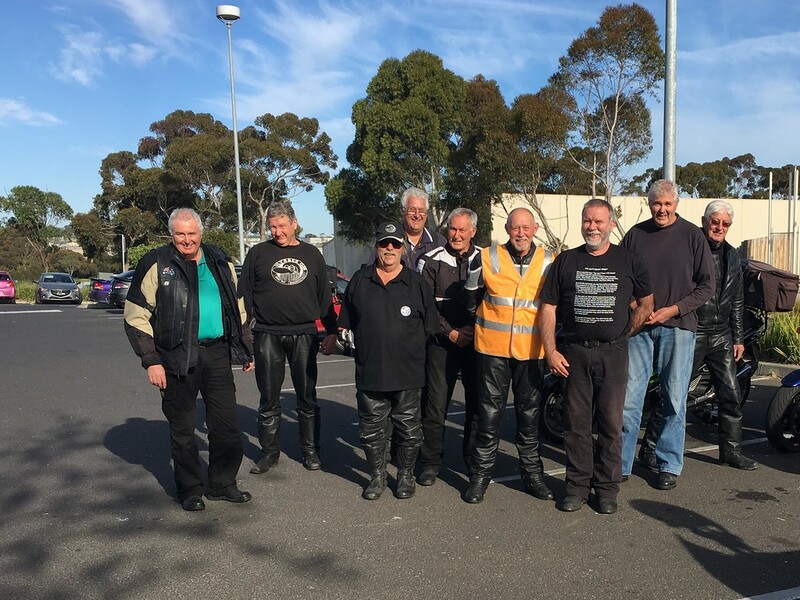 We had around 20 riders depart from Geelong, and were met by Phil & Tanya and Bill & Lynn at Beeac. 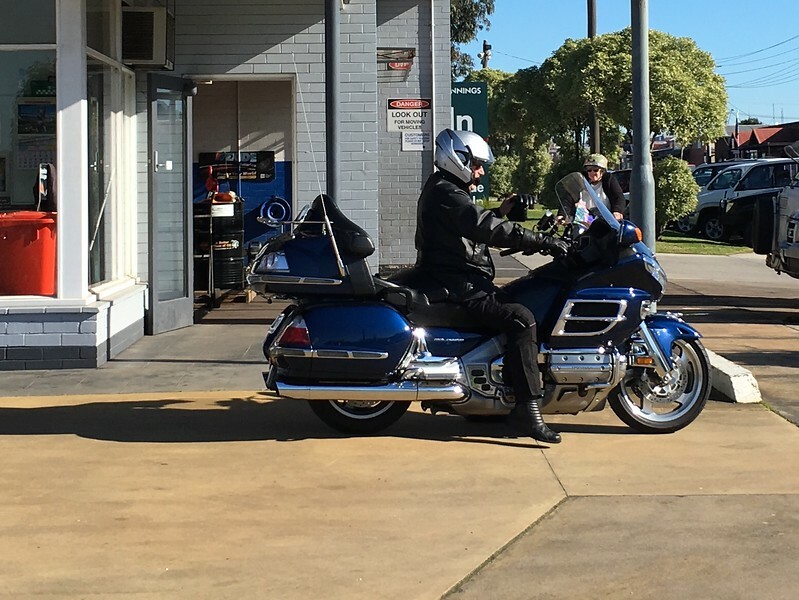 A fuel stop in Colac, though few needed it. Some of the bikes at Beeac. Look at all that blue sky! 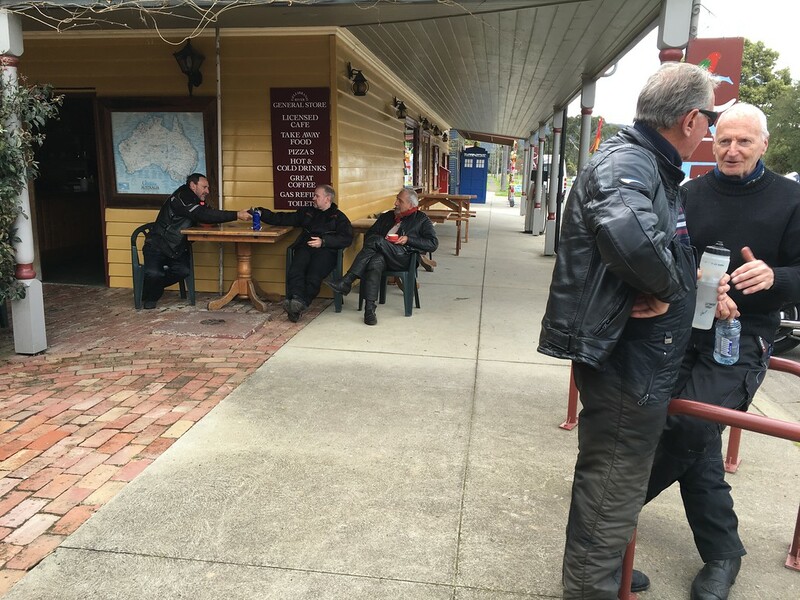 The meals at the pub were great, as was the riding. 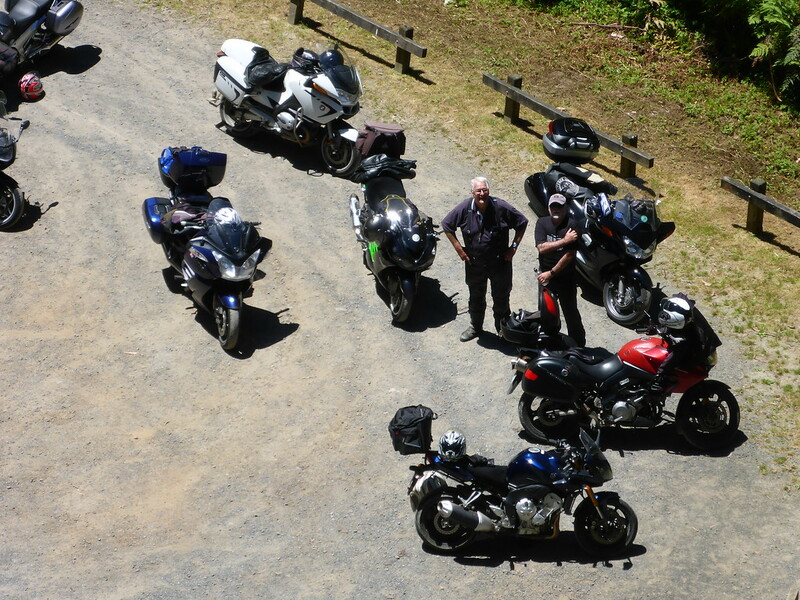 Thanks to Peter T for planning an interesting route and leading the ride, and also to Graham A for TEC duties. 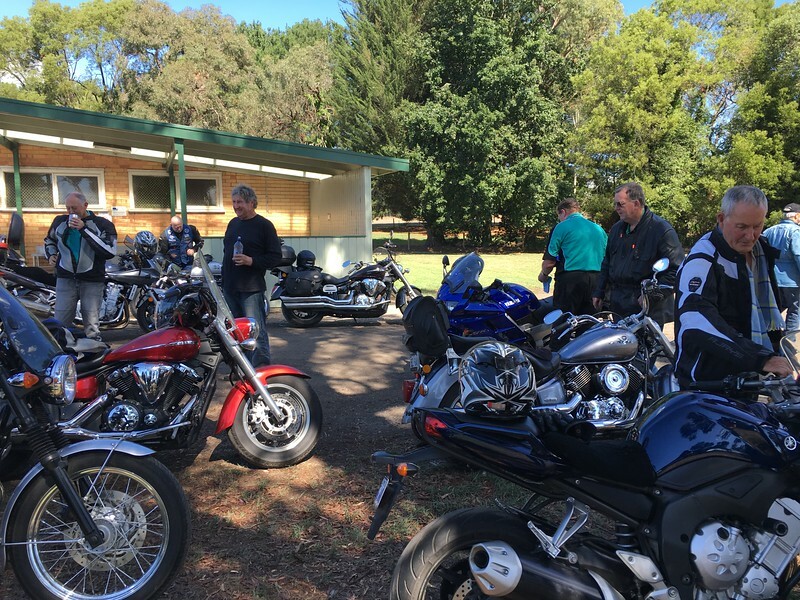 Twenty three riders, including three from Colac, rolled into Waurn Ponds for the mid-week ride to Timboon. The weather gods smiled on us as is was a mild start and the forecast top was 29C. The map below just shows the loop route from Birregurra. Click on the map (or pics below) to see a larger version, then use your back button to resume. 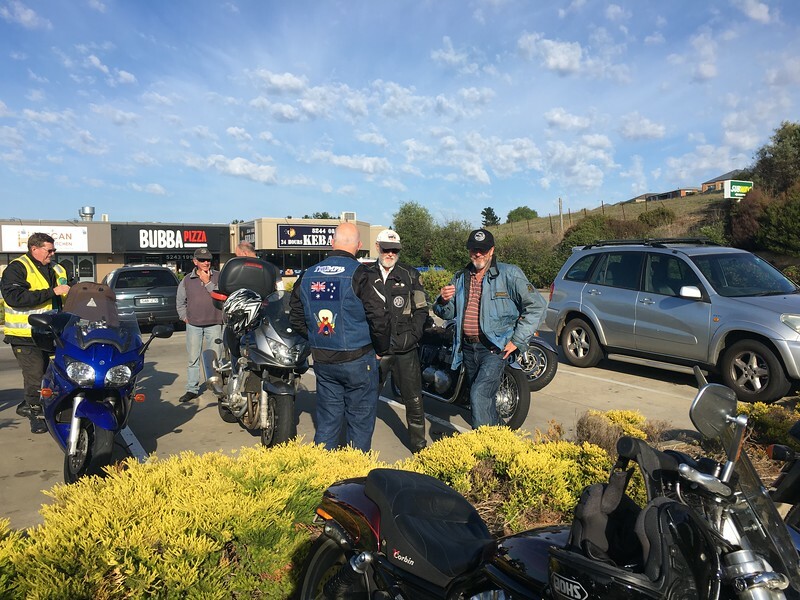 We headed out to Ceres and then to the end of Barrabool Road and on to Birregurra for morning tea via the Cape Otway Rd and Dean’s Marsh. From there were skirted around the back of Colac and then out along the Irrewillipe Road and a few twists and turns to Simpson. From Simpson is was a lovely run through the bush to Timboon. A feature of this section of the ride was a number of classic cars coming towards us who, by their signage, were obviously part of a rally. Geoff Lenten was delighted to spot three of his beloved Rileys amongst them. I’d booked a table for us at the pub and although the food was good it took a hell of a long time to come! Some ate at the bakery and they were fueled up and ready to roll at the appointed time, whilst back in the pub the meals had barely hit the table. This put us behind schedule quite a bit unfortunately, however, the sun was shining and it was a glorious day for riding. The Colac fellas and John A from Apollo Bay headed off on a different route and Michael B headed home solo at this point as well. 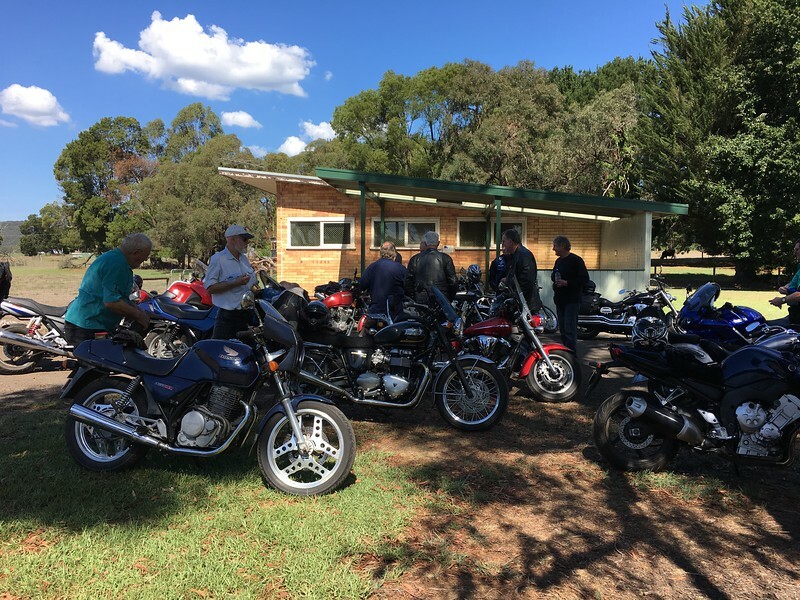 The rest of us rode to Carlisle River via the Cooriemungle Road and the Carlisle Road. The Carlisle Road is the scene of Mac’s unfortunate encounter with a bull. The bitumen for about 14 kms along here is in a terrible state of disrepair with bike swallowing sized pot holes and substantial bumps. We barely averaged 75 kph along that rough section, which was then followed up with a couple of kilometres of gravel. 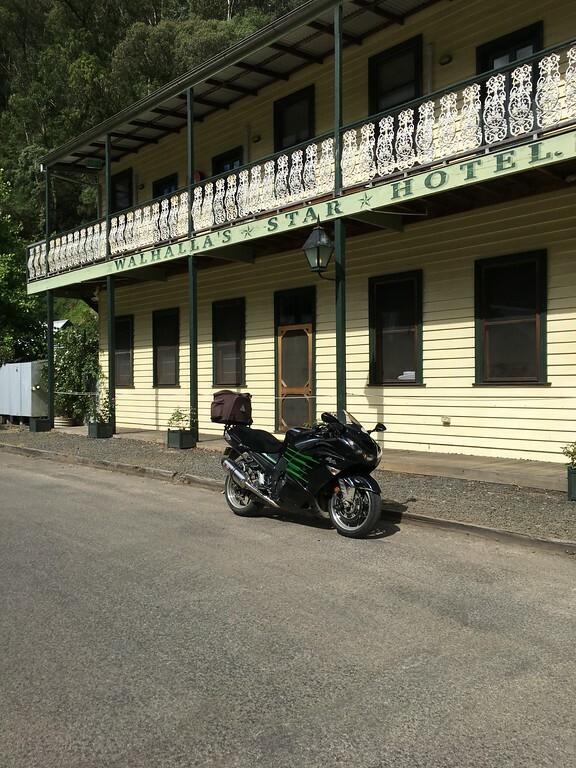 I swear I heard a few less than complimentary comments about my road choice during our brief pit stop at Carlisle River! 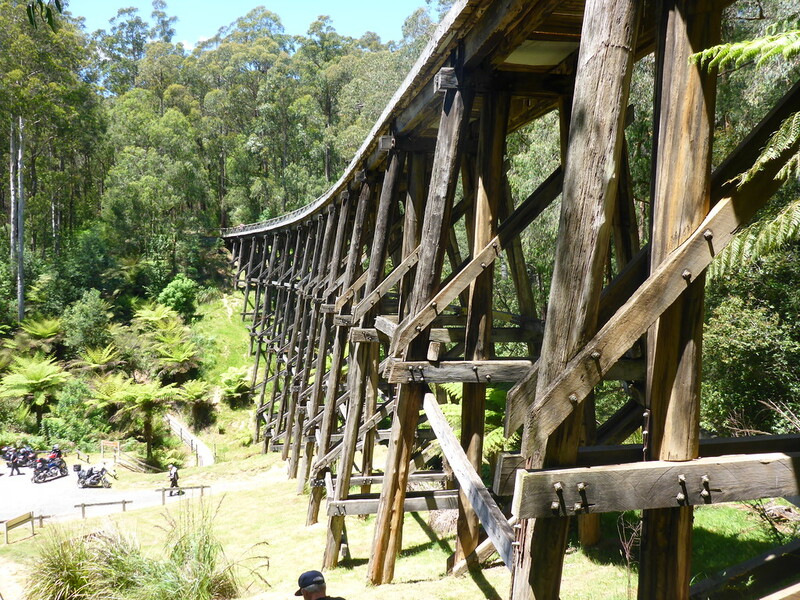 From here it was a nice, scenic ride up through the bush back to Colac. Other traffic was virtually non-existent and I was sure I could hear the sound of banjo’s at one stage! 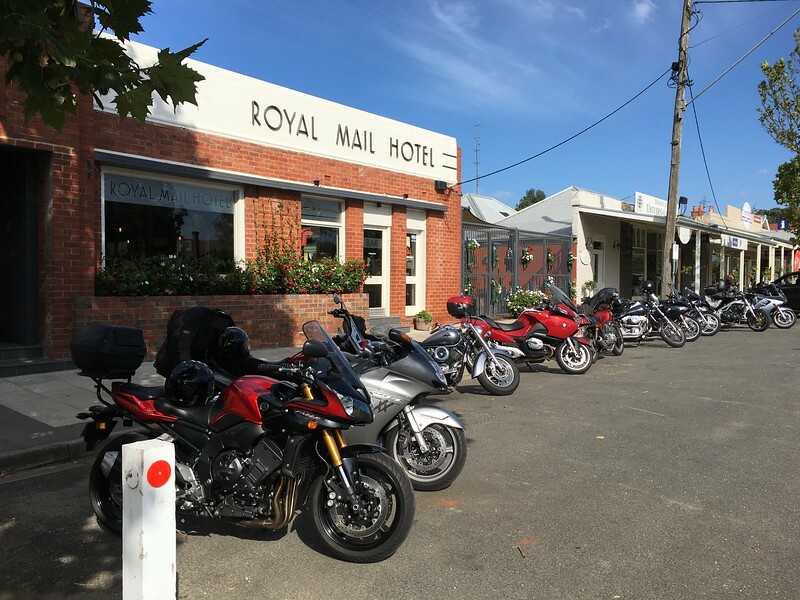 Again we skirted around Colac and this time I headed back along the Prince’s Hwy to make up a little time. It was about 30C. 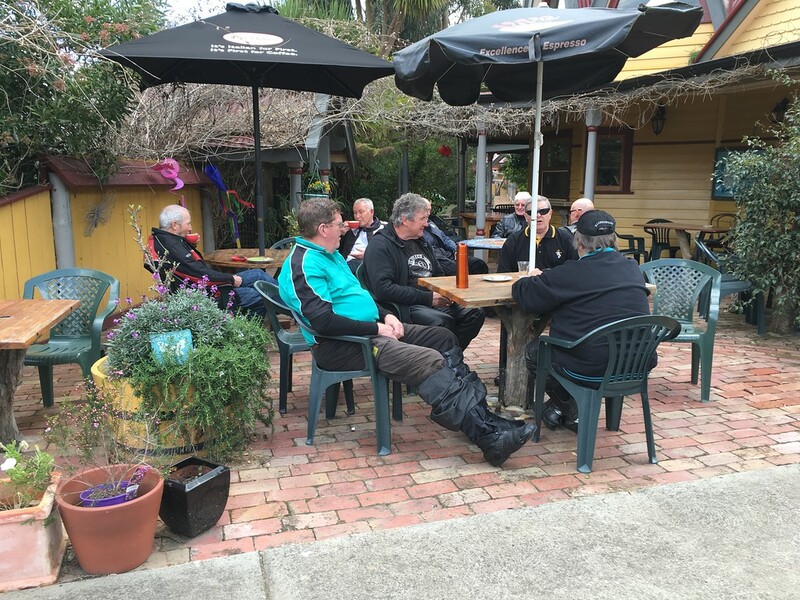 The ride was completed in Winchelsea which gave those who needed to re-hydrate and to take a breather time to do so, whilst others headed straight off. All up we covered approx 360 kilometers. Thanks to Don W for being Tail-End-Charlie. 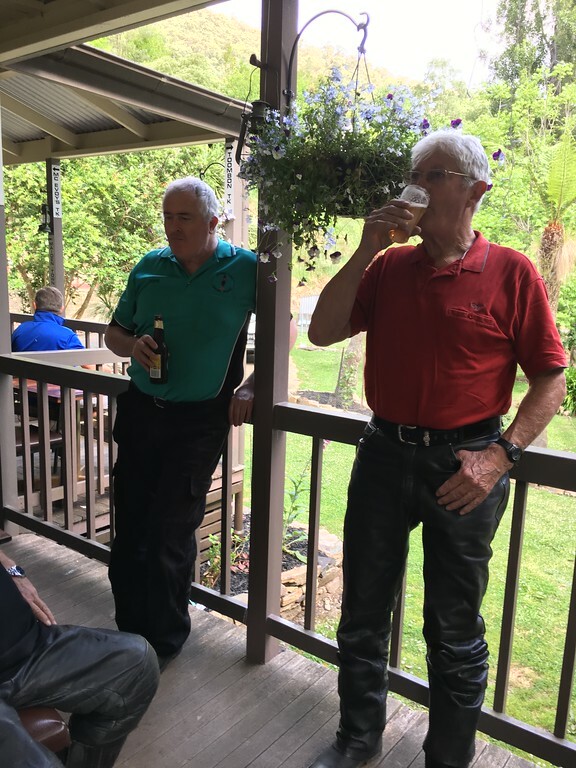 Someone who deserves a special mention is Rob Ashmore who rode really well all day and seemed to enjoy how both he and his old Yammie handled some of the challenging sections of road – pretty impressive for a fella who recently celebrated his 83rd birthday! Congratulations Rob, you are an inspiration.